Medical bills can unnerve even the most patient person. The cost of surgery or even simple procedures can be in the thousands of dollars. The size of a medical bill can cause people to make decisions that will impact financial wellness. The choices a frantic person makes can be devastating. Some people think that they can ignore the medical bill and pay it sometime in the future. It is an open invitation to have collection agencies make their obnoxious phone calls, and credit ratings can drop significantly for anyone who neglects to pay the medical bill. The second worst decision is to use a credit card. Doing that can add thousands of dollars to be paid off with double digit interest rates and using a credit card may not be necessary. Anyone who is looking at a sizable medical bill needs some good advice and guidance. Countrywide Pre-Paid Legal Services can offer the kind of assistance a person can use. Countrywide has a nationwide network of certified counselors. These financial wellness professionals have the expertise and experience required to help a person out of a bad situation. Many people do not realize this, but healthcare providers are willing to be reasonable. They want their money and they are open to negotiating how the bills are paid. Depending on the hospital, it is possible to set up an interest-free payment plan. There even are situations where some financial assistance is possible. The Countrywide financial wellness counselor is aware of these programs and can point them out. There is no reason for a plan member to be stressed and the Countrywide counselor can advise on how to best approach the healthcare providers. Some hospitals will offer a prompt pay discount for paying a bill in a lump sum. If the size of the bill is small enough to warrant that kind of discount, the counselor can point that out to the plan member. Sometimes, a person does not fully understand the bill and believes he or she is required to pay it all. Countrywide counselors know that mistakes happen in the billing departments. They will look at the bill itself and point out whether mistakes were made. Their trained eyes can spot an error faster than most other people. Collection agencies may already be on the trail of a plan member. Our counselors can explain how to work with these bill collectors and not place credit ratings in jeopardy. The information shared is not always known to the general public. The Countrywide Financial Wellness Plan allows access to experts who can solve problems. Organizations want to help employees, but they want to be sure that a benefit is used. We agree with that, because we know that makes no sense to have a service if employees cannot benefit from it. We do not know the demographics of an organization and we seek input from decision-makers. We let our clients choose. 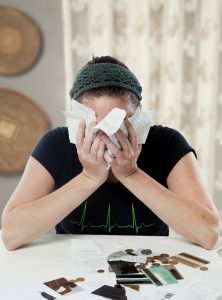 A client may choose help with medical bills or college debt, and not care about another one of our service options. We respect that. Countrywide will furnish superior customer service and have counselors who are sympathetic to a plan member’s needs. Whatever our client wants to have in the final plan document is precisely what will be there, and we will give effective service. Medical bills are a shock, but they can be managed. Our financial wellness program is there to ease the stress a person is experiencing. Our counselors can also help with other areas such as developing a personal budget or doing an asset inventory to find out a person’s full value. We offer help that can save an employee a considerable amount of money. If you have any questions about our financial wellness program, please feel free to contact us at your earliest convenience. We want to help your employees handle common financial problems and we know we can do it.